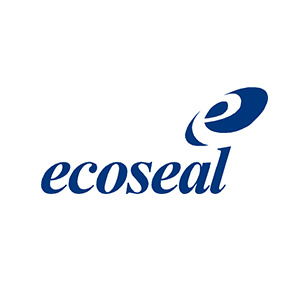 Ecoseal Developments provides services in groundwater modelling, seawater intrusion modelling and water resource management, for the water industry and for communities and water users who rely on this critical resource. Our mission is to help communities manage water environments towards a sustainable future. The principle that water is a shared resource governs our work ? shared for the benefit of communities, the environment and industry. This serves the long term economic benefit of communities that rely on this vital resource and improves water management outcomes. Ecoseal provides specialist consulting services in groundwater, environmental and water resource management. Ecoseal develops groundwater models to manage water resources and its impact on agricultural production, water supply and dependant ecosystems. We use models to evaluate the risk of seawater intrusion and develop strategies for sustainable extraction. We have developed new and innovative techniques for monitoring and assessment of stressed aquifers. Ecoseal has completed projects for sustainable management of groundwater resources in Australia, China, Bangladesh, Abu Dhabi, Pakistan, Thailand and Sri Lanka. These projects include farmer owned and managed irrigation districts and groundwater management areas set up as shared community resources. The focus of these projects was to bring about a measurable improvement in the management of surface and groundwater resources and to ensure the use of natural resources amongst competing stakeholders was equitable and would improve security of water for irrigated agriculture and for improved environmental, social and economic outcomes for communities. • Development of indicators for managing stressed aquifers. The groundwater resource of Daguhe aquifer is a major water source supporting agriculture. The two major threats to the Daguhe groundwater resource are over-exploitation and groundwater contamination which has implications for food security and environmental degradation. Agricultural practices are the major source of groundwater contamination and nitrate contamination is widespread due to over fertilization of agricultural fields and livestock rearing. This study provides the framework and foundation for developing a management plan for ensuring the safety of drinking water supply by 1) controlling nitrate contamination, 2) protecting the groundwater resources, and 3) improving the water-supply capacity. The Rechna doab is underlain by a deep unconfined aquifer with good groundwater potential for agriculture however groundwater quality for agriculture, municipal and industrial usage is affected by saline water intrusion in response to pumping. Excessive withdrawals from beneath Rechna Doab has mobilised saline water beneath the fresh groundwater lens affecting water quality. A groundwater model for the Rechna Doab and the Lower Chenab Canal command area will be developed to address problems of sustainable groundwater use and to determine equitable and sustainable canal and groundwater management options acceptable to irrigators. Developed groundwater and solute transport models for management of salt affected land Northeast Thailand. The area modelled covers Thailand’s most important rice production regions.